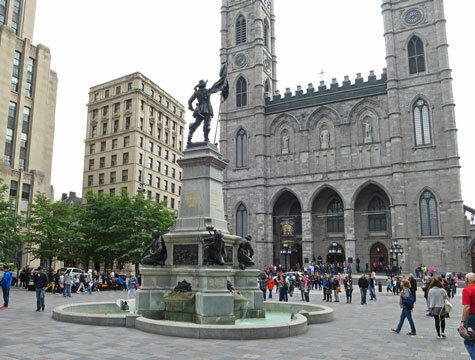 The Notre Dame Basilica is a spectacular Gothic Revival building located on Place d'Armes in Montreal Quebec. Completed in 1829, the basilica features a lovely chapel called the Sacre-Coeur Chapel. Visitors to the Notre Dame Basilica can enjoy historic paintings, sculptures and stained-glass windows. The Old Seminary of Quebec is located next to the basilica. Dating back to 1685, it is the oldest building in Monteal. For current information regarding hours of operation and admission charges, please visit www.basiliquenotredame.ca.